It smells and feel like real bread, but it is actually a phone case! I was in full awwwe when I saw these covers – being a fan of a good sandwich, I couldn’t resist not trying one on! 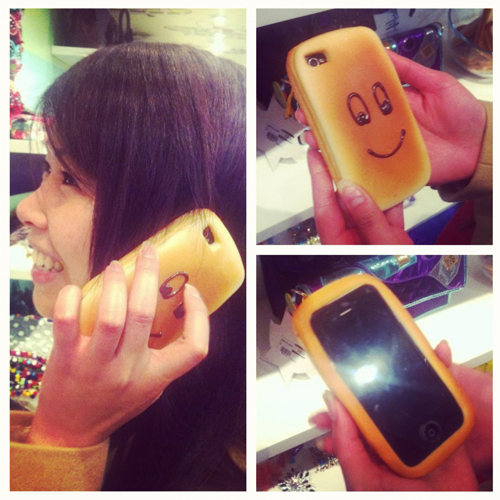 These squishy Bread iPhone 4G cases are a must have if you have an iPhone. Made of an ultra-light, soft material and features all the appropriate openings for ports, buttons, cameras, bacon and pickles. Who said tech and food can’t go hand in hand? – it’s even bread-er than my iphone!